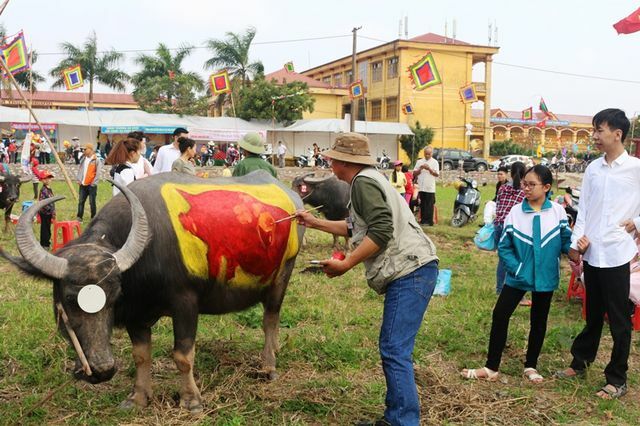 A buffalo painting competition has been held at a ploughing festival in Ha Nam Province on February 10. 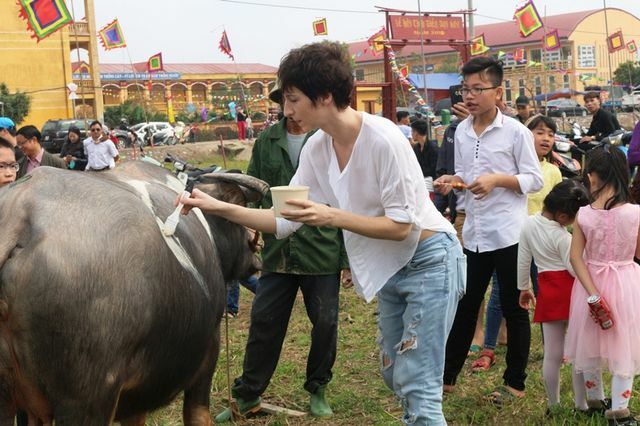 The buffalos were turned into canvases as 24 participants from Hanoi, Ha Nam, Hung Yen, Ninh Binh, Thai Binh and one from Russia joined the contest. 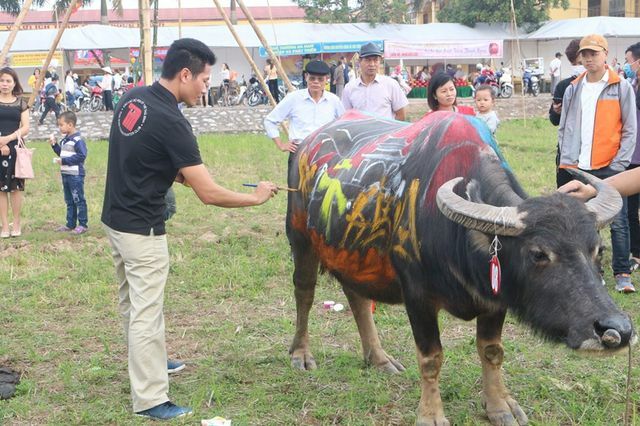 The buffalo painting competition was first held in 2009. 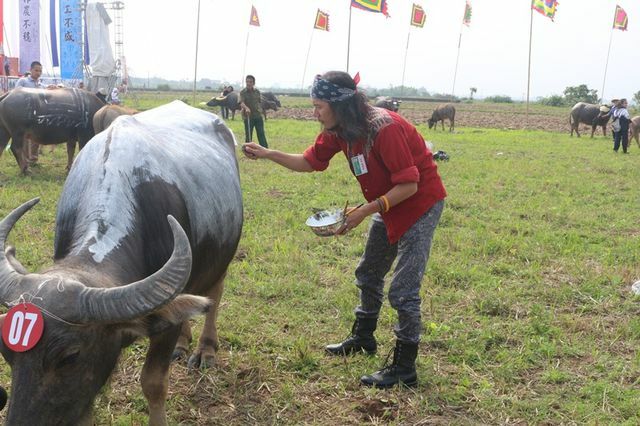 The buffalos were gathered for Doi Son Tich Dien or ploughing festival which was held on the sixth day of the Lunar New Year which fell on February 10 this year in Doi Son commune, and the winning buffalos will be used in the ploughing ceremony to pray for good harvests held on February 11. 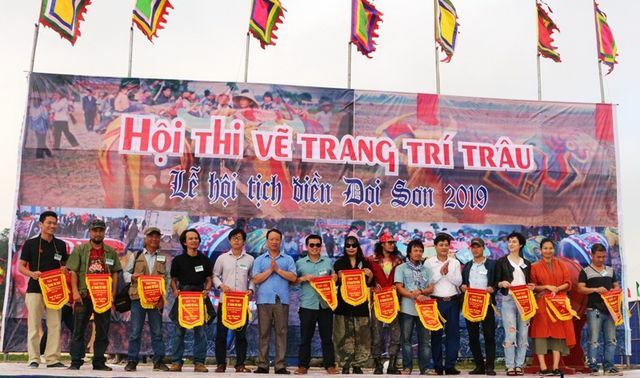 The festival is an important event, aiming to encourage agriculture and promote the building of new-style rural areas. King Le Dai Hanh started the festival when he worked on the field himself in 987. However, the annual festival was forgotten for a long time and was only resumed in 2009.